As a NIMBioS postdoctoral fellow, Erol Akçay (Ph.D. Biology, Stanford University, 2008) primarily focused on the roles of cooperation and conflict in two different but related systems: social behavior in animals and the evolution of mutually beneficial interactions between species. The general question Akçay focused on was how cooperation within and between species can be maintained in the face of conflicts of interests. In particular, Akçay studied the effects of proximate mechanisms of interaction, such as behavioral motivations and physiological mechanisms, on the evolutionary dynamics of cooperation. Upon completing his fellowship at NIMBioS, Dr. Akçay was a postdoctoral fellow at the Univ. of California, Berkeley in the lab of Ellen Simms and later accepted a position as an associate research scholar at Princeton University. He is now an assistant professor of biology at the Univ. of Pennsylvania. Can negotiations maintain cooperation in the legume-rhizobium symbiosis? Akçay E, Van Cleve J. 2012. Behavioral responses in structured populations pave the way to group optimality. The American Naturalist, 179(2): 257-269. [Online]. Sekercioglu CH, Anderson S, Akçay E, Bilgin R, Can E, Semiz G, Tavsanoglu C, Soyumert A, Yokes MB, Ipekdal K, Saglam I, Yucel M, Dalfes N. 2011. Turkey's globally important biodiversity in crisis. Biological Conservation, 144: 2752-2769. [Online]. Ozpolat BD, Akçay E, Somel N, Somel M. 2010. Bringing the understanding of evolution to Turkish public: A volunteer organization model for developing countries. Developmental Biology, 344(1): 439. [Online]. Bewick SA, Chisholm RA, Akcay E, Godsoe W. October 2011. Tropical biodiversity: New models for an old problem. Society for Advancement of Chicanos and Native Americans in Science, Modern Mathematics Workshop, San Jose, CA. Bewick SA, Chisholm RA, Akcay E, Godsoe W. August 2011. 'Neutral' models with overlapping niches. The 2011 Annual Meeting of the Ecological Society of America, Austin, TX. 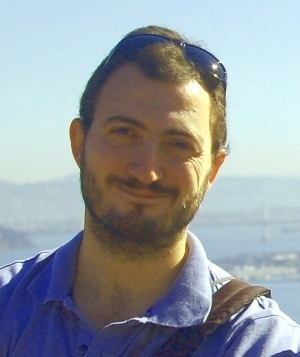 Concurrent with Akçay's postdoctoral appointment, Akçay was Co-PI for the NIMBioS Working Group: Function and Evolution. Akçay also participated in the NIMBioS Working Group: Coalitions and Alliances and the NIMBioS Investigative Workshop: New Soil Black Box Strategies. In addition, Akçay hosted a number of collaborative short-term visitors. Akçay also co-organized a workshop of Turkish ecologists and evolutionary biologists, which was held in Istanbul Technical University, Turkey, in December 2009. Akçay gave a research talk at California State University, San Marcos, a minority-serving institution, and a public seminar about his research in Istanbul, Turkey. Akçay also co-wrote and obtained funding for a small-scale public outreach grant from the European Society for Evolutionary Biology. This continuing project consists of preparing and distributing material promoting the teaching of evolutionary biology, and advertising online resources that Akçay and his collaborators have been developing at http://evrimianlamak.org (the Turkish translation of UC Berkeley's Understanding Evolution website). Akçay also taught two lectures as a guest lecturer in Sergey Gavrilets' graduate level evolutionary theory class at UTK. Akçay participated in the mathematical biology seminar course on spatial optimization in fall 2009. Akçay also attended the weekly meetings of the Gavrilets and Armsworth labs in UTK's Ecology and Evolutionary Biology Department. Providing incentives to cooperate can turn swords into plowshares. ScienceDaily, Dec 8 2010.